As a digital marketer, understanding your client’s business is critical to ensuring the success of your campaigns. However, it can be a seemingly time consuming and laborious process to understand the full depth and breadth of your client’s business, and thus doing so is often skimmed-through or overlooked. This shouldn’t be the case, however, and this 6-step guide below can help make things easy. Keep in mind that each of the below steps are essential and shouldn’t be looked at individually. In this instance, the whole is truly greater than the sum of its parts. Research your client’s business. This will involve reading as many relevant articles pertaining to your client’s business as possible, from Wikipedia to news releases. You should look to understand what industry your client is in and how they’ve positioned themselves. Also, make sure to gain a general understanding of the industry — what are the product or service trends? Is the industry growing or shrinking? Forums and online communities, even social media, are great platforms in which to conduct research where you can gain an understanding of overall brand sentiment from both industry experts and everyday customers. Talk with your client and compare your findings to their established brand positioning. You can also set up Google Alerts to collect real-time information on your client’s industry and brand. Identify your client’s products and/or services by scouring their website and talking with your client. It’s critical that you understand the pain point or problem that your client’s products and/or services are trying to solve. What do they sell to solve the problem? How do they solve the problem? It’s also important to understand how each product feeds into your client’s revenue stream and how much their margins are on each of these products. How are the main competitors positioned, and how does that compare to your client’s positioning? Does your client have a large advantage over its competition? What is your client’s UVP (unique value proposition) and what are their competitors’ UVPs? How are your client’s products priced vs the competition? From a paid media stand-point, you can use tools like Google Ads’ Auction Insights or Keyword Planner to understand how your client’s competition is advertising. Also, third-party tools like SEMrush or SpyFu also provide valuable insights into the advertising competitive landscape. Understanding and empathizing with your client’s customer base is probably the single most important step. Below are a few strategies that can be utilized to fully comprehend your client’s customers. Talk with your client’s employees who actually interact with customers. Conduct customer interviews or small focus groups. Interactive sessions where you observe an actual customer while they go through the online search process is especially useful to understand the path to purchase. Become a customer yourself — put yourself in the customer’s shoes. You don’t have to actually purchase your client’s product, but it’s always a good idea to understand the customer journey by clicking around your client’s site and imagining yourself as the customer. Build more data-driven customer personas from Google and Facebook. Find out where and when to reach your customers online by analyzing data from your client’s ad campaigns and website by leveraging data from analytics platforms like Google Analytics. Use this information to guide audience targeting strategies in both Search and Social platforms. Understand the marketing channels and messaging that have seen success in the past. By gathering the above customer information, you should be able to understand who your client’s customers are and then map out the customer journey. Understanding your client’s main digital KPIs is important for the success of your campaigns, but it’s also important to understand your client’s overall business KPIs and goals, which include all channels. Understanding how your digital goals tie into your client’s greater organizational KPIs goals will help you to identify new opportunities and make better calls when optimizing campaigns. Having this understanding could potentially even open the dialogue with your client to establish more flexible KPIs or goals, and will help you plan for future initiatives. You’ve done all the research — the last step is to put it all together. 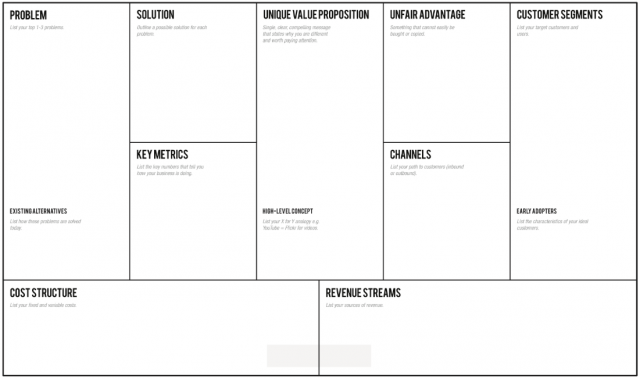 One useful framework you can leverage to piece together the puzzle is the Lean Canvas. 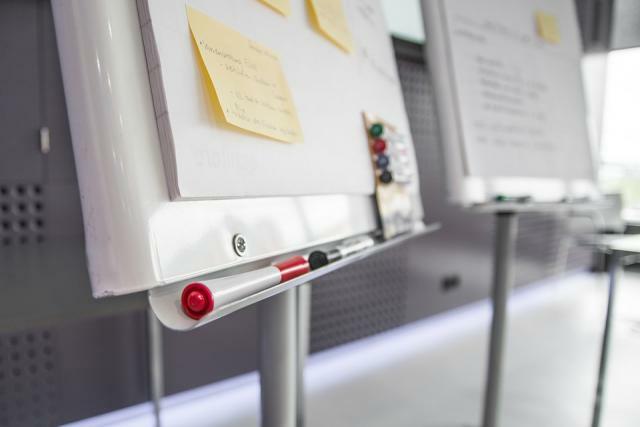 The Lean Canvas was developed to help startups quickly and elegantly develop business models, but it can easily be repurposed to fit your needs. Below is an example blank Lean Canvas from leanstack.com. Once you fill it out, you’ll be able to easily organize and remember important business information that can help you better optimize your client’s digital advertising campaigns.